Disclaimer: These places are free to change their terms at any time, so it is recommended that you click on the link to confirm or call to confirm that the offer is still available. Art Institute of Chicago: Free admission to Illinois educators when you register online and show a current school ID. Boston Children's Museum: Free admission for active New England K-8 Teachers with a valid work ID, union card, or pay stub AND photo ID. Carnegie Science Center: Offers free admission once a year to K-12 educators in Pennsylvania, Ohio, West Virginia, New York, and Maryland. 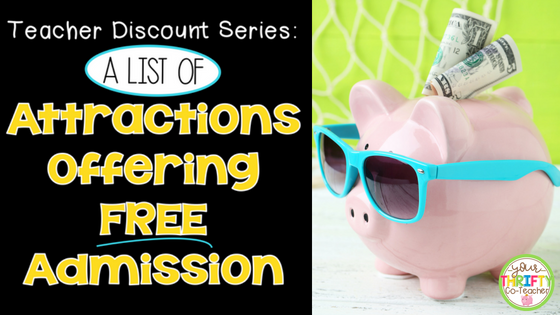 Discovery World: Free admission when you sign up online using your school email address. You will receive a confirmation email within 2 weeks with instructions on how to obtain your personal Educator Community Card. With the card, you also get free access to VIP Tours of Labs and Studios. Exploratorium in San Francisco: Offers free admission to California K-12 teachers. Teachers must apply online for the voucher. The Field Museum of Chicago: Teachers from throughout Illinois (PreK-12) receive free Basic admission. 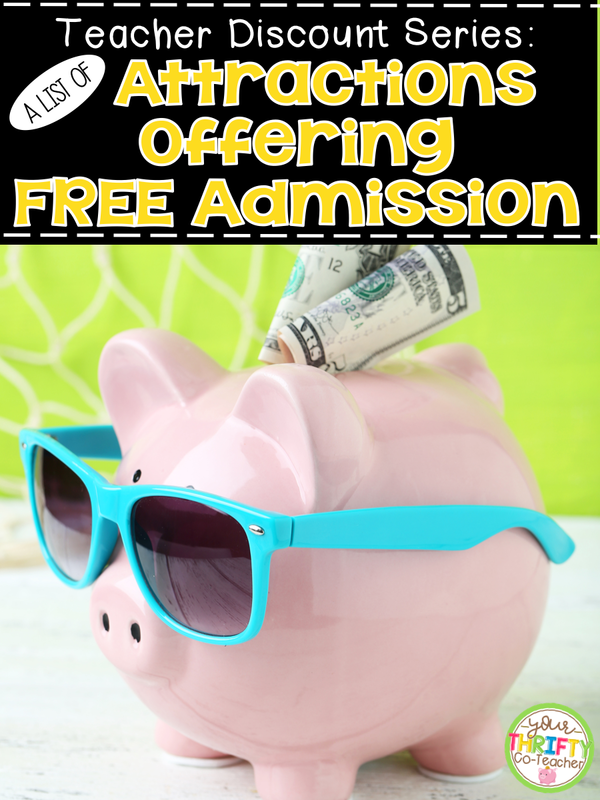 The Florida Aquarium: Florida (VPK-12 grade) teachers can apply online for the Teacher Study Program which gives them complimentary admission to The Florida Aquarium for the school year. According to their website, applications must be completed at least 72 hours prior to your first visit. (Walk-ups will pay full Aquarium admission). Kennedy Space Center: The Educator Study Pass offers Florida, Georgia, Puerto Rico and U.S. Virgin Islands teachers complimentary access to Kennedy Space Center's Educator Resource Center. Present a valid teacher's certificate, teacher ID, or letter on school letterhead signed by the principal. Legoland in Florida: Florida teachers (PreK-12) get one year of free admission to the park by presenting their valid FDOE Professional (or Temporary) Certificate, a recent paystub (within 30 days) and current Florida photo ID. The pass expires one year after the first use. Maryland Science Center: Allows teachers to enter free into the basic exhibit halls when they show proof of teacher status or a teacher ID. 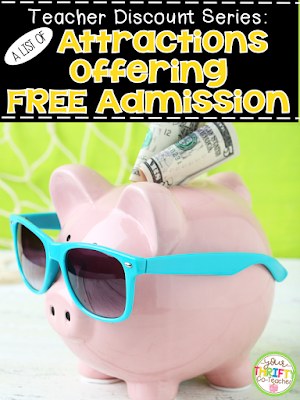 Traveling exhibits and the IMAX theatre are an additional fee. Milwaukee Art Museum: Wisconsin K-12 teachers who present a valid school ID or pay stub will receive free admission to the museum. Museum of Science + Industry in Chicago: Illinois teachers (pre-K through 12th grade) receive free entry by showing a valid I.D. Natural History Museum: California K-12 teachers get free admission any day of the week with a school ID or current paystub. New England Aquarium: K-12 teachers currently employed in a New England school system can enjoy free admission, discounts, and more. Apply online by providing a school email and a mailing address to be considered for the Teacher Pass Program. Orlando Science Center: Free for Florida teachers with a valid teaching certificate, school ID, or copy of your most recent paystub. Perot Museum: Offers Texas and bordering states (Arkansas, Louisiana, New Mexico, Oklahoma, and Mexico) Pk-12 grade teachers free admission when you show proof of current teaching status at the Museum Box Office. Philadelphia Zoo: Free pass available to certified/licensed preK-12 classroom teachers, principals, and assistant principals who work in public, private and charter schools. The pass is good for a single admission, any day of the week, between September 1 and June 15. You must register online. Registration opens on August 1st. SeaWorld: Free teacher admission is available for Florida teachers visiting the Orlando park, California and Arizona teachers visiting the San Diego park, and Texas teachers visiting the San Antonio park. Teachers must preregister by clicking on the links. South Carolina Aquarium: South Carolina K-12 teachers receive free admission. Must show photo ID and one of the following: current teacher ID, a paystub issued in the last 90 days, or South Carolina teaching certificate.